Checking off one of my 2017 Resolutions! I’m a little proud of myself right now. Sadly, very often my New Year’s Resolutions sort of slide off into the mist of time as the year rolls along. This year I’ve already made one resolution happen and February is still nearly half a month away. In my first post of 2017 I shared 5 resolutions. #2 was to open my Etsy Shop, and late Sunday night I made it happen. I have started with 5 listings. It all was a bit stop and go on Sunday evening, attempting to get the shop up, because our internet was being difficult (the joys of living on a mountain). I’ve opened my shop with some jewelry listings. 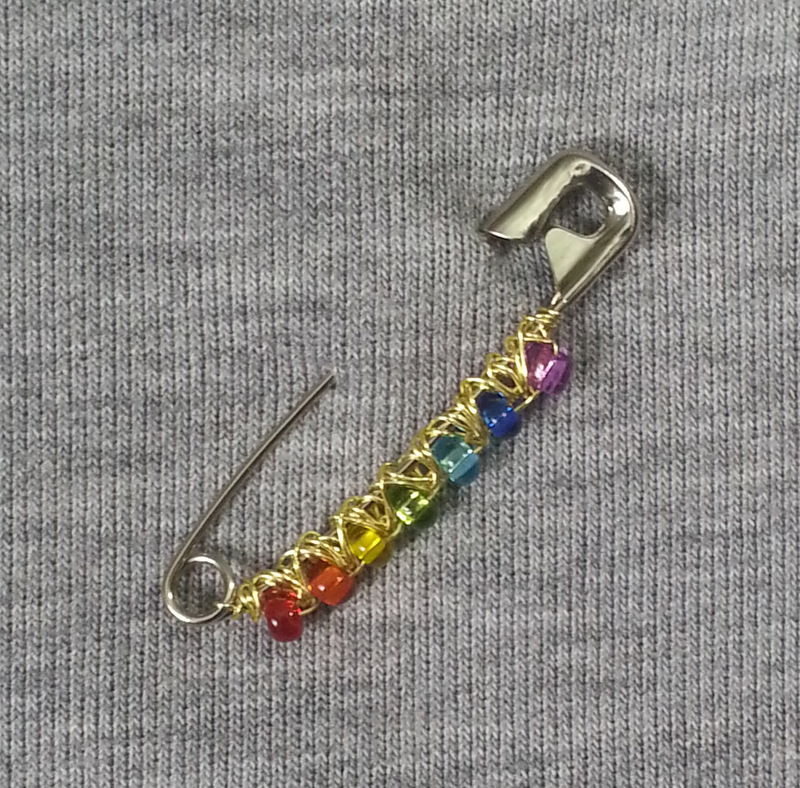 When I learnt about the idea of wearing a safety pin as a symbol of solidarity I loved the concept. 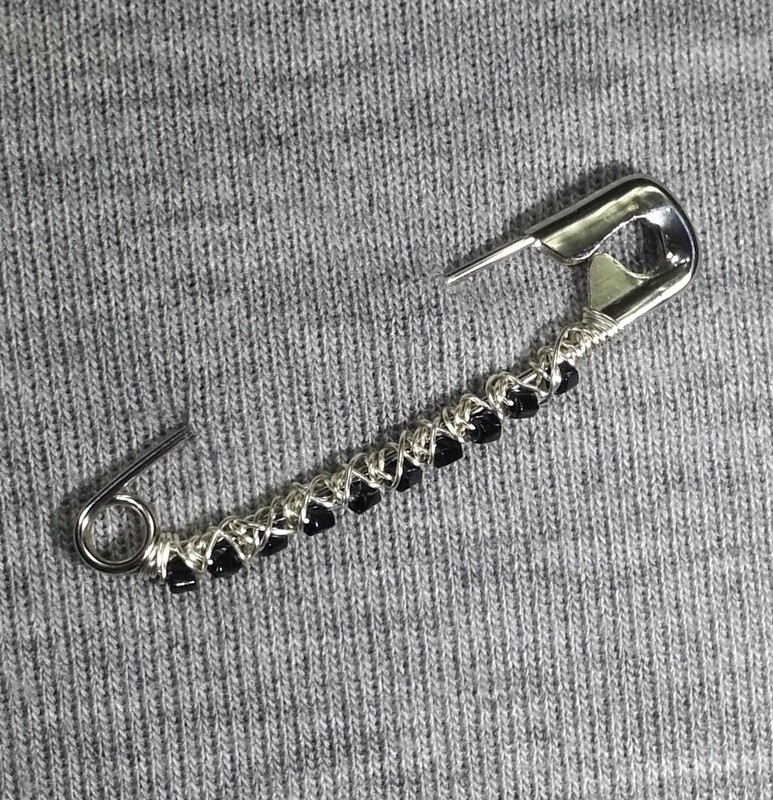 I wanted my safety pin to stand out a bit more and these decorated safety pins are what came from that. 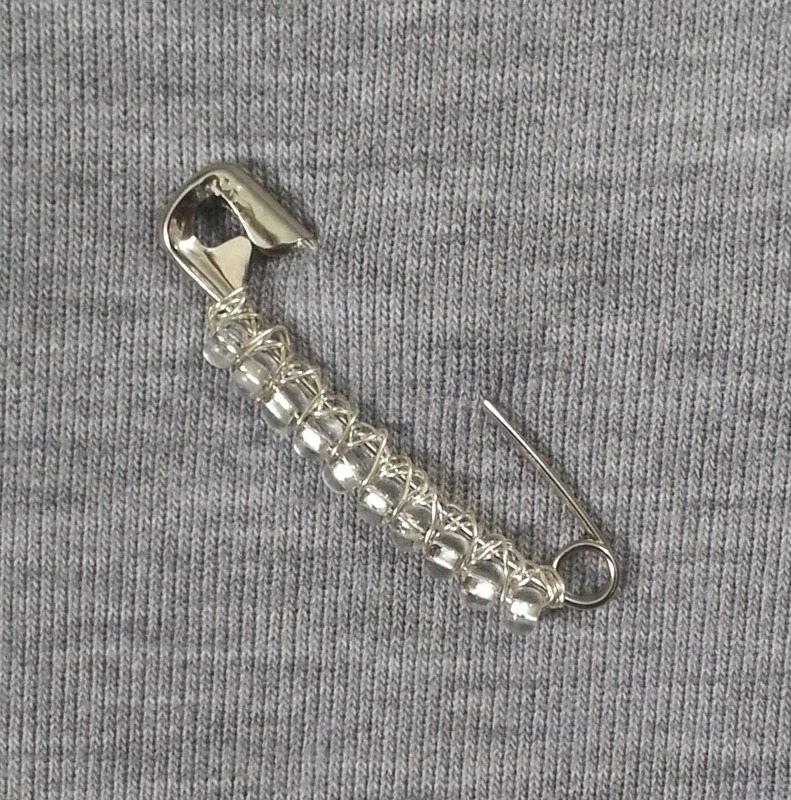 Each pin has beaded wire wrapping along bar opposite the “pin” part. I experimented with the color of wire I used for the wrapping with the Rainbow colored glass beads. There is a bright silver wire (that I found out today is actually tarnish resistant silver-plating), nickel silver and bright gold. I also experimented with using different size beads, like the seed beads on this pin. This pin was my experiment with a subtler decoration. 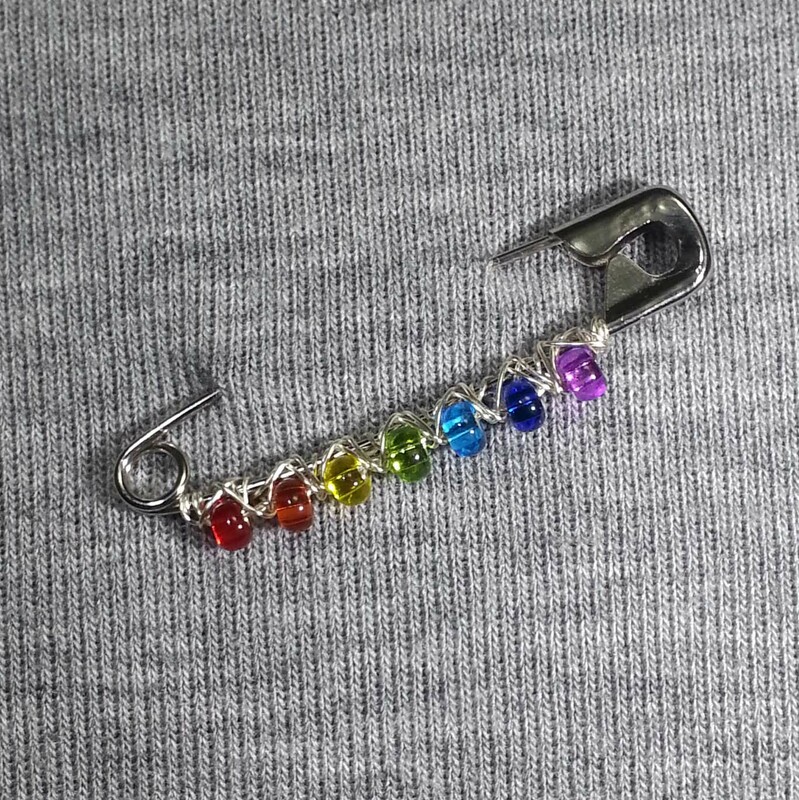 Still more noticeable than a plain safety pin because of the silver sparkle, but it is a coloration that can go with any outfit. 2/3 of the price for each pin sold will be donated to various organizations that support and help protect civil rights for all Americans. 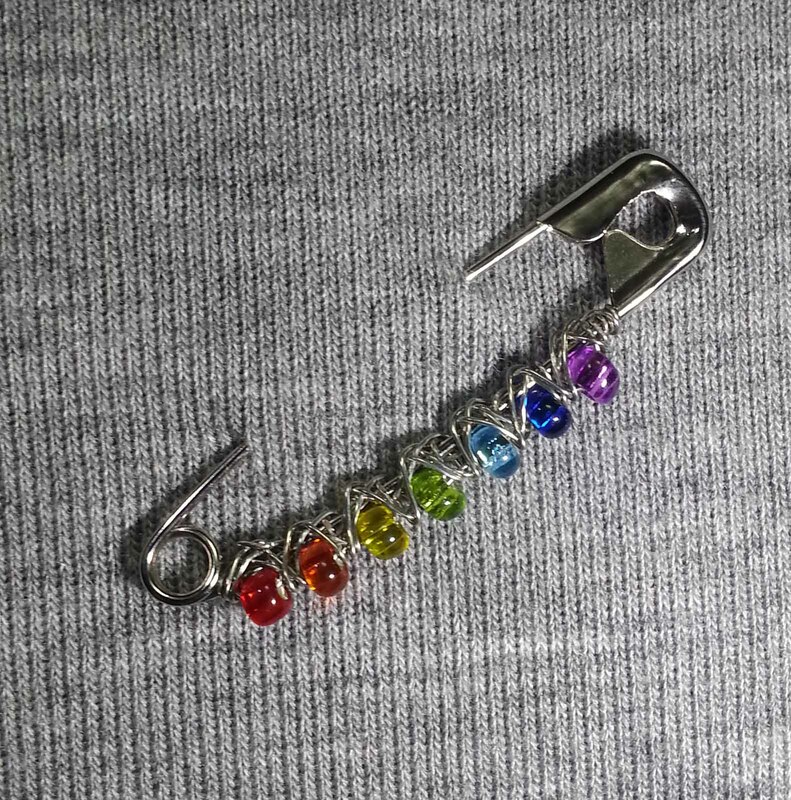 I’ll be adding more pins with different decoration as I develop my shop further, I also plan to have some stitch markers and shawl pins. I hope you’ll stop by and see if any of my pieces appeal to you. You can visit my Etsy Shop by clicking here: Mamas2Hands, Two Hands Arts & Crafts.